A look at the life and work of Justice Ruth Bader Ginsburg. Justice Ruth Bader Ginsburg now 84, and still inspired by the lawyers who defended free speech during the Red Scare, Ginsburg refuses to relinquish her passionate duty, steadily fighting for equal rights for all citizens... read full description below. A look at the life and work of Justice Ruth Bader Ginsburg. Justice Ruth Bader Ginsburg now 84, and still inspired by the lawyers who defended free speech during the Red Scare, Ginsburg refuses to relinquish her passionate duty, steadily fighting for equal rights for all citizens under the law. 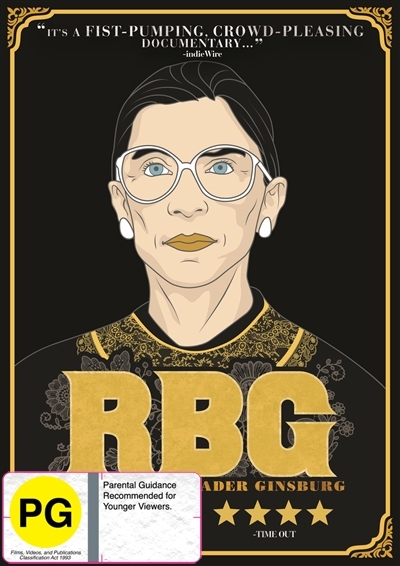 Through intimate interviews and unprecedented access to Ginsburgs life outside the court, RBG tells the electric story of Ginsburgs consuming love affairs with both the Constitution and her beloved husband Martyand of a lifes work that led her to become an icon of justice in the highest court in the land.